I was standing at a clearing beside a cornfield. Then all of a sudden I saw people, dressed in their sports gear, coming out of the cornfield. Was I dreaming? My name is not Kevin Costner, and the scene I was witnessing was not from the film “Fields of Dreams,” which by the way, was shot in Iowa. The people I saw emerging from the cornfields were not baseball players, but rather cyclists, with their biking shirts, shorts and helmets on. Me and my friends took part in the recently concluded Register’s Annual Great Bike Ride Across Iowa (RAGBRAI), which was a 7-day long event. The total length of this year’s route was 405 miles. Though we only rode a 1-day leg, from Perry to Des Moines (3rd day route), which was still a formidable 50 mile course. We could have not picked a better day to participate. Besides that it was the shortest course, and probably the flattest (1308 feet of climb), but the weather was also perfect. The temperature was in the high 60’s to 70’s F (it was in the 90’s to 100’s the day before), and was overcast, so it was cool the whole day through. My friends and I were not real cyclists and this was our first RAGBRAI ride. We rode slow that I don’t think we passed any cyclists, yet everybody seems to be overtaking us. Including a grandma who was celebrating her 90th birthday, riding a recumbent tandem bike with her daughter, who was also older than we were. I learned many biker’s lingo during the ride. They shout “biker off” to alarm other riders, when they are stopping and exiting on the shoulder of the road. “Biker on,” when they are getting back on the road and rejoining the pack. (I wish I could shout “flame on,” like the superhero Human Torch, and my bike will be ablaze and zoom.) “Car up” when there’s an approaching car up ahead, or “car back” when there’s a vehicle behind. Then there’s “on your right” or “on your left,” to warn you when they were about to overtake you. I also heard a chilling warning calling out “Biker down!” Aside from calling assistance to the biker who fell, it is also to alert other bikers to get ready to stop or slow down to avoid domino-like collision. Unfortunately, that call for “biker down” was for my friend, after he collided with another friend. I told you we were novice bikers. Good thing we were going slow, so he was not seriously injured, and only had a scraped knee. He just don’t have photos to remind him of the RAGBRAI, but a physical memento as well. He wore that wound like a badge of honor. We stopped a number of times to rest. And to eat too. The course was lined with food stalls and other specialty booths offering a variety of things, especially in towns we passed through. Then in one lonely stretch of the road flanked by vast cornfields, as we stopped for ice cream (did we eat more than we burned? ), was when I saw people coming out of the cornfields. Why were they coming out of the cornfields? Was it a mirage? No, it was not. And it has nothing to do with “build it, and they will come,” symbolic theme of the movie “Field of Dreams.” (Though you can say RAGBRAI draws both national and international participants to Iowa.) These people emerging out of the cornfields had a more plain and practical explanation. 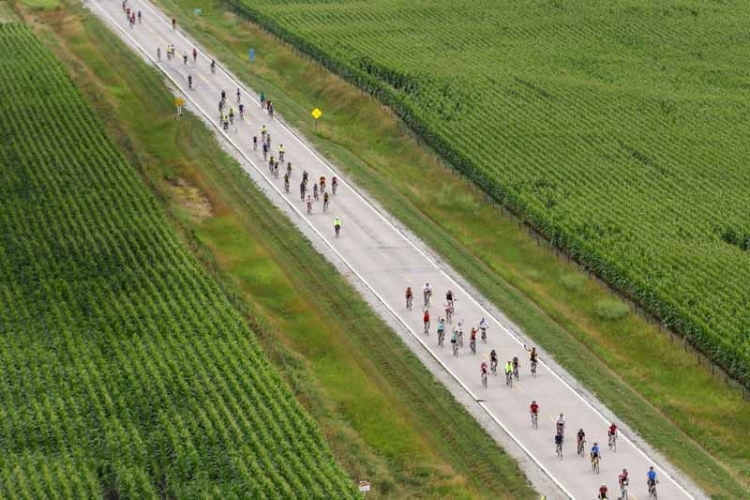 There were more than 10,000 bike riders that took part on RAGBRAI. Even though there were several hundreds of portable toilets, mostly placed in the town stops, it may still not enough to provide “relief” for everybody in every place. But who need toilets, when you have thousands of acres of cornfields spread all over the course, right? So what did the riders do inside the cornfields? You don’t want to know. We had our bathrooms renovated and after weeks of deconstruction and construction, I would say they look pretty nice. 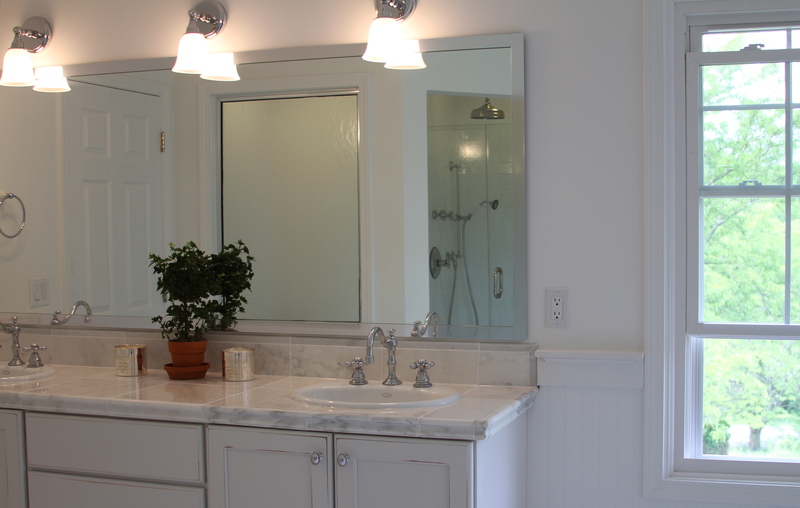 Our kids said that it seems “like a hotel.” We added a wide window in the master’s bath, the shower room was expanded and enclosed with glass doors, the cabinets were white with marble top, and the sink fixtures are made of chrome. It feels really posh and inviting. As I was sitting in my “morning throne” one day, a thought came to me. (The muse of genius can come during the most mundane circumstances.) It dawned on me on how different my situation and surroundings have been, including our les toilettes. It is such a far cry from the bathroom that I grew up with in the Philippines. Don’t get me wrong, we didn’t have an outhouse or a latrine for toilet when I was a kid. We had a real bathroom with all the needed amenities, that is, the toilet bowl, “timba” (pail), “tabo” (dipper), and water. What else do you need? Our bathroom in Manila had a shower head, but the water pressure was so weak that we did not use the shower at all. We use the “timba” and “tabo” to take a bath, just like most Filipinos do. The toilet flush was not working, so we flush it the conventional Pinoy way – by pouring a pail of water into the bowl (“buhos” style). Our bathroom even had a sink, but again no water comes out in the faucet sink, so to wash our face, we had to squat on the floor and use the “batya” (laundry basin). The bathroom was cramped and damp. The floor was always wet, in fact you have to use the “bakya” (wooden slippers) whenever you enter it. It had a small window but it was always close unless the neighbors see you. In fact our neighbor’s window was only a few feet away from our bathroom window. It was so close, they can probably hear every time we flush (or should I say “buhos”) the toilet. It was so close they probably can even smell………..ah…err….. let me not go there. I was still daydreaming about our bathroom in Sampaloc when I stepped inside our newly refurbished shower here in Iowa. As I turned on the shower and the invigorating warm water woke me up from my sleepiness, another thought came to me……. I realized that it does not matter whether you take a bath in a plush shower, or in luxurious bathtub, or use “timba” and “tabo,” for they all attain the same effect of cleansing us and making us smell good. But what really matters in life is our character within, that no kind of bath or shower can cleanse. It also does not matter whether you wash your face in a sink with silver faucets or use the “batya,” for they will rinse your face just the same. Though a clean face is important (unless your work in the coal mine), what is more important is our attitude when we face the world that will take us places. Moreover it does not make a difference whether we use a fancy toilet, or an outhouse, or just a hole on the ground, they all provide relief and comfort. 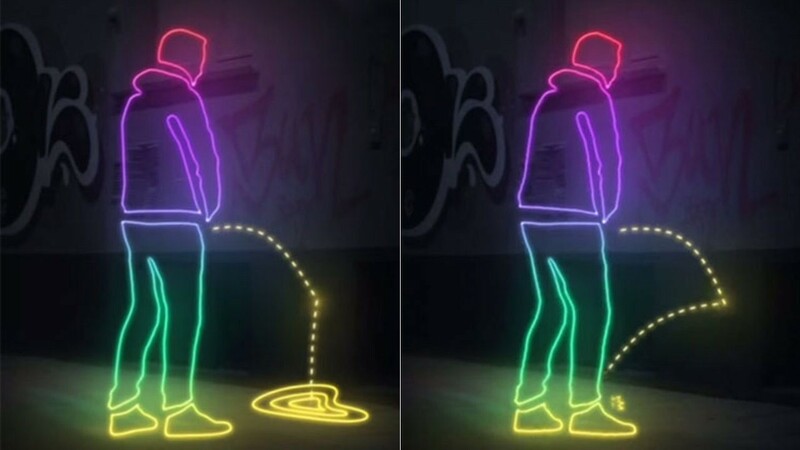 (Though I will still not approve on the practice of relieving oneself on the wall.) What is more important is the true comfort that the love of our family and friends provide. I stepped out of the shower and dried myself with a towel. I looked out at the bathroom window overlooking the expanse of fields and river valley, while the sun (not neighbors) was peeping behind the hills. I was ready to face another new day. And it had nothing to do with my chrome rain shower head.